Some 50,000 people gathered with Indian Prime Minister Narendra Modi on Thursday in the Himalayan foothills to salute the power of yoga. 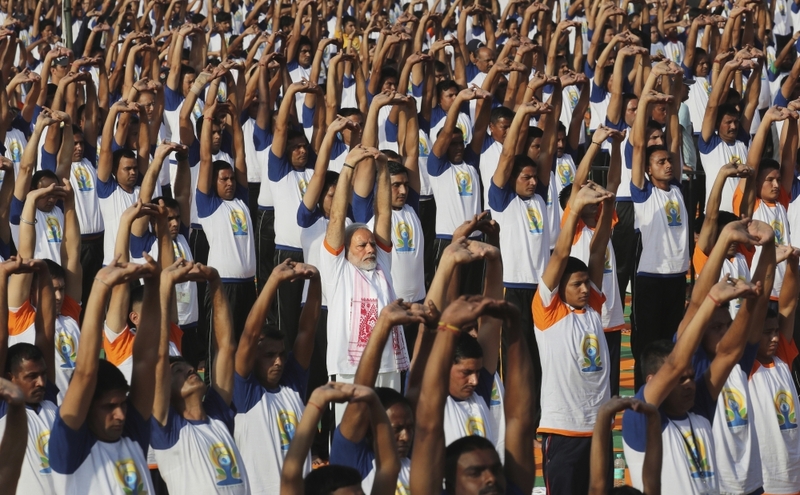 Yoga “is enriching millions of lives all over the world,” Modi said in a speech. He also urged Indians to take pride in their heritage. “The gems of India’s unique heritage, such as yoga, will be respected by the world at large only when we ourselves respect our culture and traditions,” he said. Tens of thousands more people joined in mass yoga exercises across the country, from staff at the New Delhi airport to middle-class urbanites and students at countless schools.